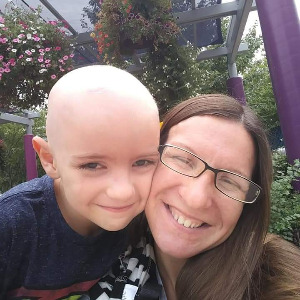 My son William was diagnosed with medulloblastoma in June of 2018 at the age of 6. After surgery to remove a brain tumor, 30 radiation treatments, and 6 months of chemotherapy, he is recovering and quickly approaching scans and tests to see how effective treatments were! He is so excited to return to school and be all that a 7 year old should be! Brave the Shave has been with us since the beginning and thru all of their support, we want to give some back. William told me he didn't think I would look near as good as him bald, but that short could be nice! He has chosen a hair style for me which allows for at least 20 inches of hair to be donated to make wigs for other warriors. We've set our goal at $1000 which would give an inch of hair for every $50 donation! Let's raise some money for Brave the Shave to help other families fighting childhood cancer as they have helped us!! Hey bud you stay strong! We are always thinking of ya!